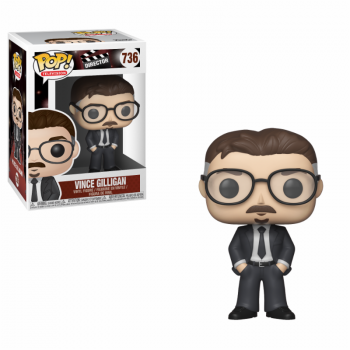 With a writing, producing and directing career that includes The X-Files, Breaking Bad and Better Call Saul, Vince Gilligan is the latest Pop! Director just in time for Breaking Bad’s Tenth Anniversary. His Pop! figure boasts his trademark facial hair and glasses, and is a must-have for Breaking Bad and X-Files fans.